Marigolds are apparently good companion plants for tomatoes, so I bought a few of the potted ones to have in the house on Christmas Day and to later plant in the garden. Although this is an expensive way to buy marigolds, with seedlings a cheaper alternative and seeds even more thrifty (if they grow), at least it was a better option than purchasing cut flowers, which only last a few days. No sooner had I taken them out of the basket to plant out however, when Zorro spied it and just had to climb in. I swear he is addicted to cosy enclosed spaces. When I planted marigold seedlings a few months ago, the snails got to them and they disappeared, so this time I’m not taking any chances. 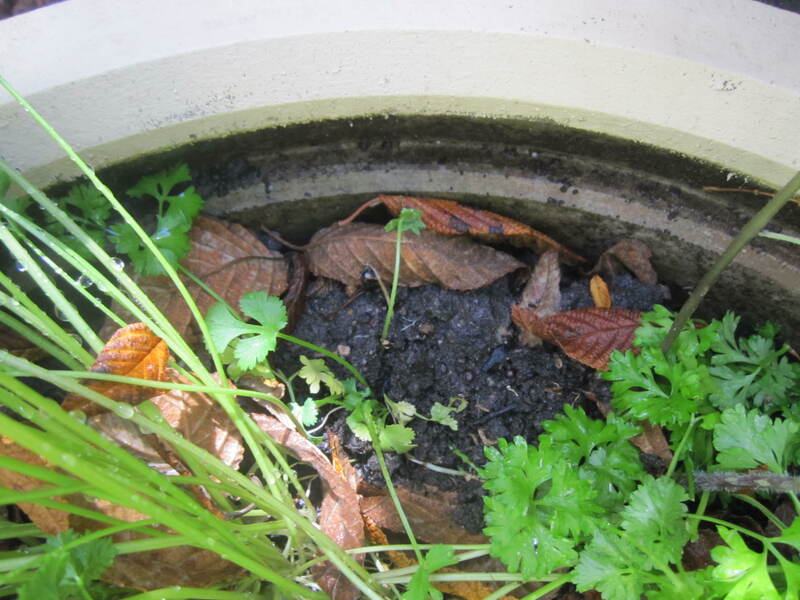 I have surrounded them with snail pellets, so it will be interesting to see how long they last. 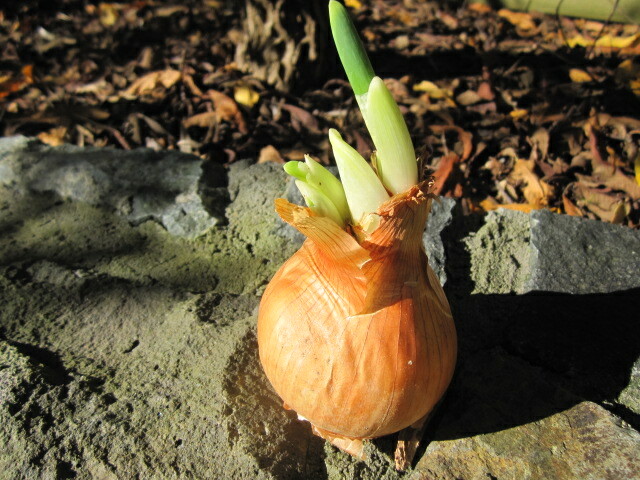 Have you noticed, sometimes an onion in the pantry begins to sprout? 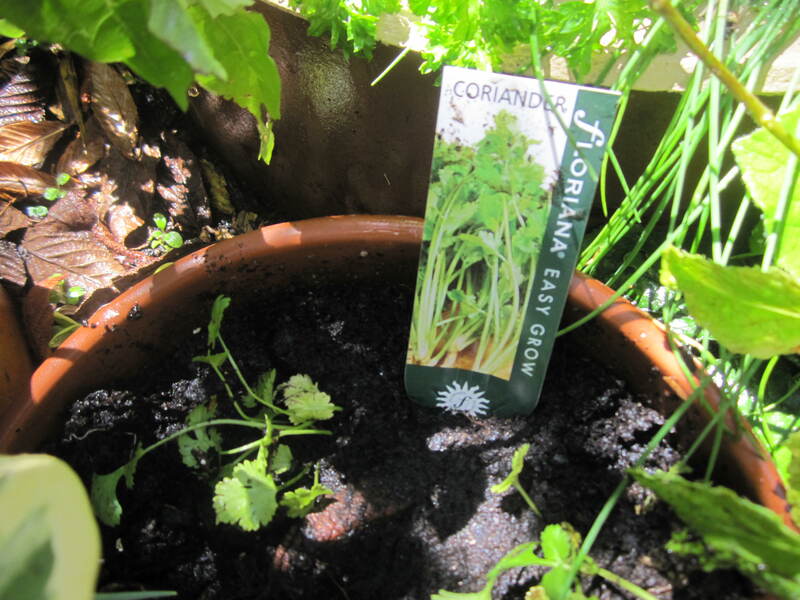 I found two brown onions already growing, plus a third red onion shooting, so I thought, why not try and plant them? I could have googled how to do it, but on this occasion I have just stuck them in the same pot, to see what will happen. Then I watered them in with some Seasol. 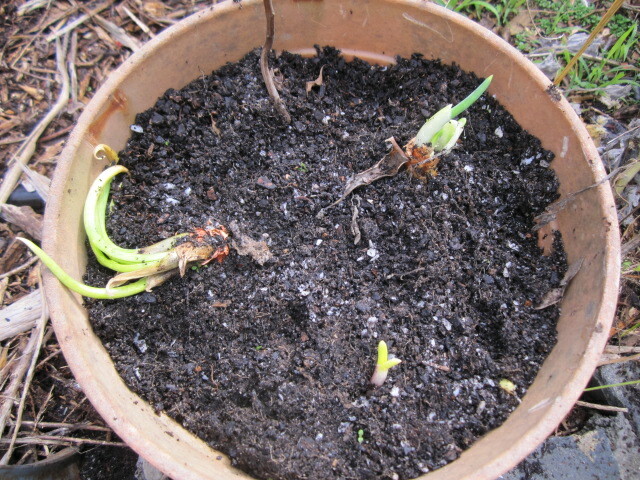 They were past using in the kitchen, so rather than throw them in the compost, it will be a good experiment. Last year I did actually buy onion seedlings and planted them, but unsuccessfully. Murphy’s Law means that I will probably have more luck with these ones that I have treated carelessly. Well, here’s hoping. Either way, there will be no tears shed over these onions. Recently our French friend Leslye, who was staying with us before her roadtrip, made a great hot and tasty Asian soup, garnished with coriander. 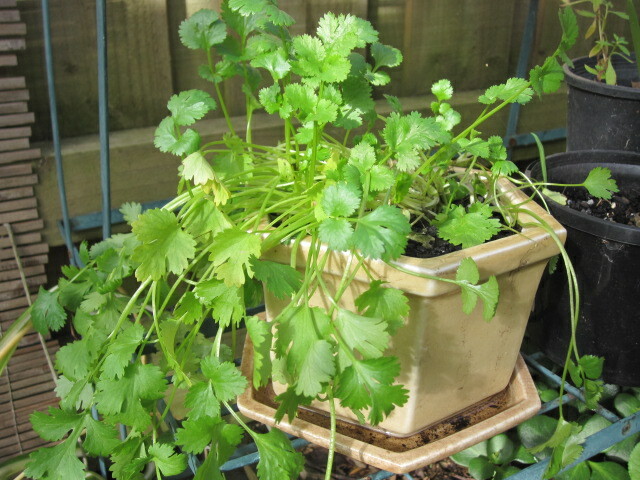 I had never really experienced this herb before, and it was delicious, so I decided to add it to my herb garden. However, when I was purchasing the seedlings from Bunnings, a lady warned me that as it is the middle of summer here in Melbourne, the seedlings were likely to bolt to seed because it would be too hot. 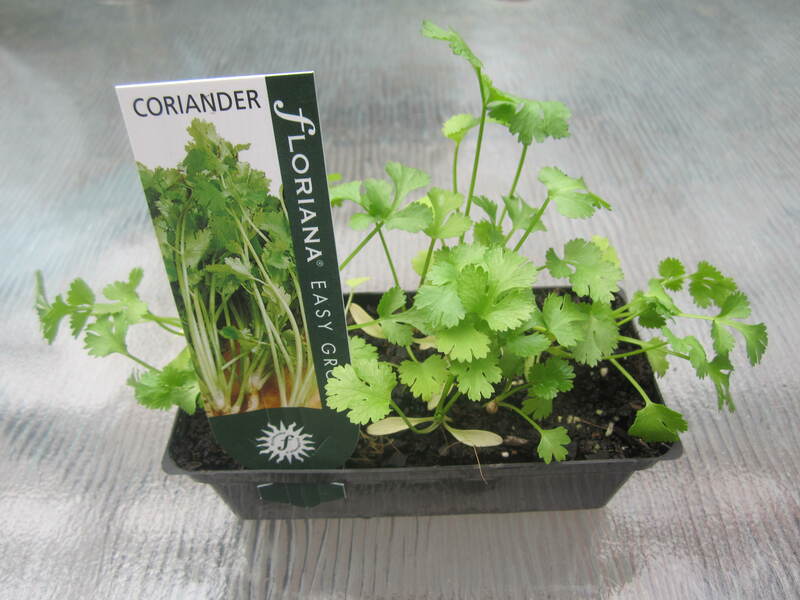 So I bought them anyway, and have tried to plant them in a few different areas to see which might be the most successful.